Prices for laptops in Intel's "Ultrabook" category are expected to fall below $1,000 by the end of this year and may drop as much as 10 percent in the first quarter of 2012 with the help of a $100 marketing subsidy from Intel, according to a new report. Taiwan-based supply chain makers told industry publication DigiTimes that Ultrabook makers Acer, Asustek and Toshiba will lower their retail prices this holiday season. Meanwhile, Lenovo, Hewlett-Packard and Dell have geared up to launch their own Ultrabooks this month, sources said. The report went on to note that a marketing subsidy from Intel may contribute to further price cuts in the range of 5 percent to 10 percent early next year. Sources said the chipmaker's partners have had a tough time meeting the sub-$1,000 goal for their Ultrabook models. According to them, a 13-inch SSD-equipped Ultrabook has an estimated bill of materials (BOM) of $690. OEM costs are approximately $100, and marketing and distribution costs run $150, bringing the total cost to $940. Insiders estimated that the CPU, 128GB SSD and LCD panel cost $175-200, $140-150 and $45-50, respectively. Intel took the wraps off its Ultrabook design guidelines earlier this year. Qualifying machines will be less than 20mm thick and cost less than $1,000. Thomas Kilroy, the company's senior vice president and general manager of its sales and marketing group, said during the design's unveiling that Ultrabooks will benefit from "a massive campaign by Intel in 2012." PC makers reportedly lobbied Intel for a 50 percent price cut on CPUs bound for Ultrabooks, in an attempt to compete with Apple's MacBook Air pricing. Intel instead opted to offer a 20 percent discount to "first-tier notebook players." Though the chipmaker is aiming for the specification to account for 40 percent of laptops by the end of 2012, Ultrabook makers have been cautious with their initial shipments. Some companies were said to be "testing the waters" with shipment volumes of less than 50,000. 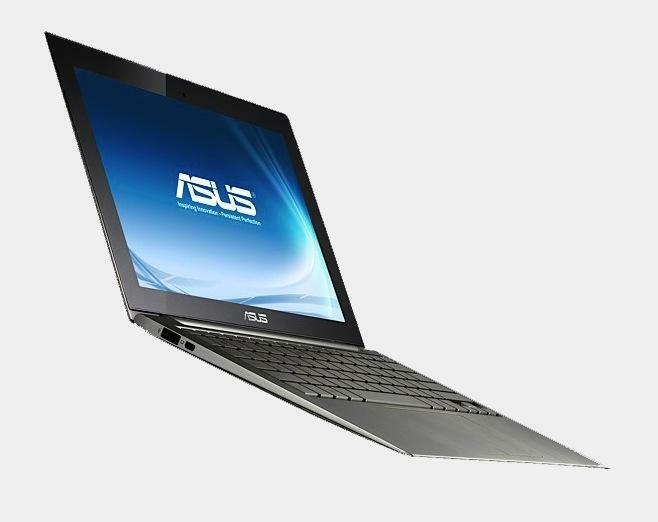 Acer and Asus are believed to have slashed their Ultrabook orders by 40 percent because of unsatisfactory demand. Research firm Canalys sees price as a difficult obstacle for Ultrabook makers. The firm does see Ultrabooks becoming an important segment of notebook sales over the next five years, but, in the meantime, Apple is expected to take the top spot among PC vendors if iPads are included in the figures. "For Ultrabooks to become widespread, prices have to drop considerably," said analyst Michael Kauh. "The least expensive models are currently around $800, a real barrier to mass consumer uptake. As more vendors embrace the Ultrabook design, component costs should drop and mainstream consumer prices will be achieved." Apple has squeezed its competitors with aggressive pricing of the MacBook Air. In 2010, the Mac maker introduced an 11-inch MacBook Air model, cutting the entry-level price from $1,499 (for the previous 13-inch model) to $999. According to one recent report, Apple will drop the prices of its thin-and-light notebooks even further in coming months to clear out inventory for a new series. Rumors have also suggested that a 15-inch MacBook Air will arrive in the first quarter of 2012. With the new models, Apple has seen the MacBook Air's share of its total Mac shipments swell in recent months. According to Morgan Stanley and NPD, the ultra-thin notebooks now comprise 28 percent of the company's notebook shipments, which are already at record levels.